Last year (last month to be more specific) we passed along renders of the four Moto G7 models expected to be released later this year. The phones are the Moto G7, Moto G7 Plus, Moto G7 Play and Moto G7 Power. As we pointed out in that aforementioned article, the quartet of Moto G7 handsets carry three different notch styles. The Moto G7 and G7 Plus have a waterdrop notch, while a large (Pixel 3 XL size) notch can be found on the G7 Play. The G7 Power is equipped with a smaller notch. Recently, tipster Slashleaks posted several case renders for the Moto G7, and the image of the phone matches the previously leaked renders. The case includes openings on the back for the module containing the dual camera setup and flash, and the fingerprint button topped with the iconic Motorola batwings logo. The Moto G7 is expected to feature a 6-inch display and will reportedly carry the Snapdragon 660 Mobile Platform under the hood. We could see the handset equipped with 4GB of RAM and 64GB of native storage. The dual camera setup in back is said to include both a 16MP sensor and a 5MP sensor, and the selfie snapper in front is expected to weigh in at 16MP. Keeping the lights on will supposedly be the job of a 3500mAh battery, and Android 9 Pie will be pre-installed. Speculation has the Moto G7 Plus carrying a 6.4-inch display, powered by the Snapdragon 710 chipset. 4GB of RAM and 64GB of internal storage are expected, along with the same camera and battery specs that are rumored for the Moto G7. And like the latter model, Android 9 Pie is expected to run the show. If the rumors are legit, the Moto G7 Power's most exciting spec is its 5000mAh battery (only a single 12MP camera is said to be on back with an 8MP selfie snapper in front). The Snapdragon 632 SoC is expected to be under the hood. The Moto G7 Play will also be running on a Snapdragon 632 chipset. We should see that device sport a 2820mAh battery. What else could they put in that chin? Front facing speaker? 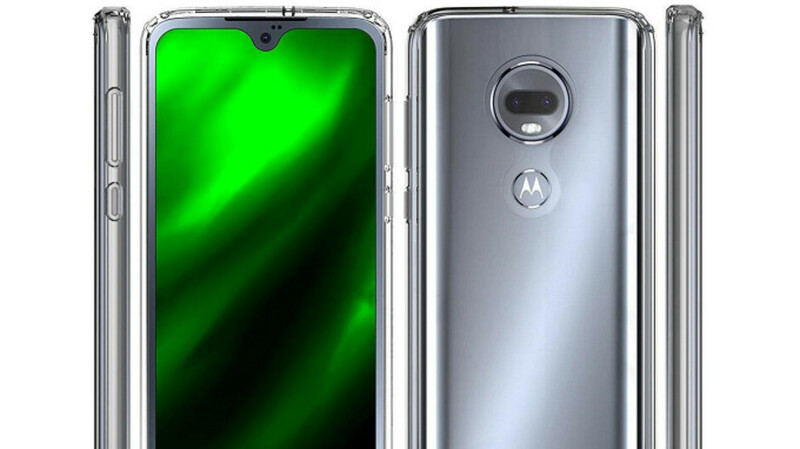 Not gonna happen, it's Lenovo's Moto not the old Motorola we used to know..
that notch and branding on the bottom is the ugliest i have ever seen on a phone!!! That's one ugly looking phone..Fugly!